Explanation: Portuguese navigator Ferdinand Magellan and his crew had plenty of time to study the southern sky during the first circumnavigation of planet Earth. As a result, two celestial wonders easily visible for southern hemisphere skygazers are known as the Clouds of Magellan. 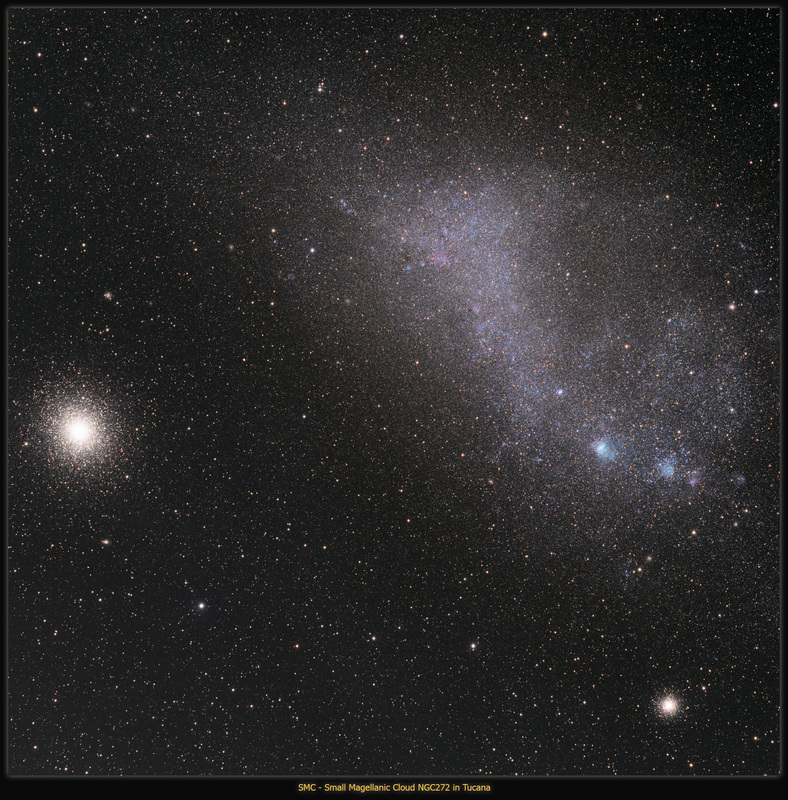 These cosmic clouds are now understood to be dwarf irregular galaxies, satellites of our larger spiral Milky Way Galaxy. The Small Magellanic Cloud actually spans 15,000 light-years or so and contains several hundred million stars. About 210,000 light-years away in the constellation Tucana, it is more distant than other known Milky Way satellite galaxies, including the Canis Major and Sagittarius Dwarf galaxies and the Large Magellanic Cloud. This sharp image also includes two foreground globular star clusters NGC 362 (bottom right) and 47 Tucanae. 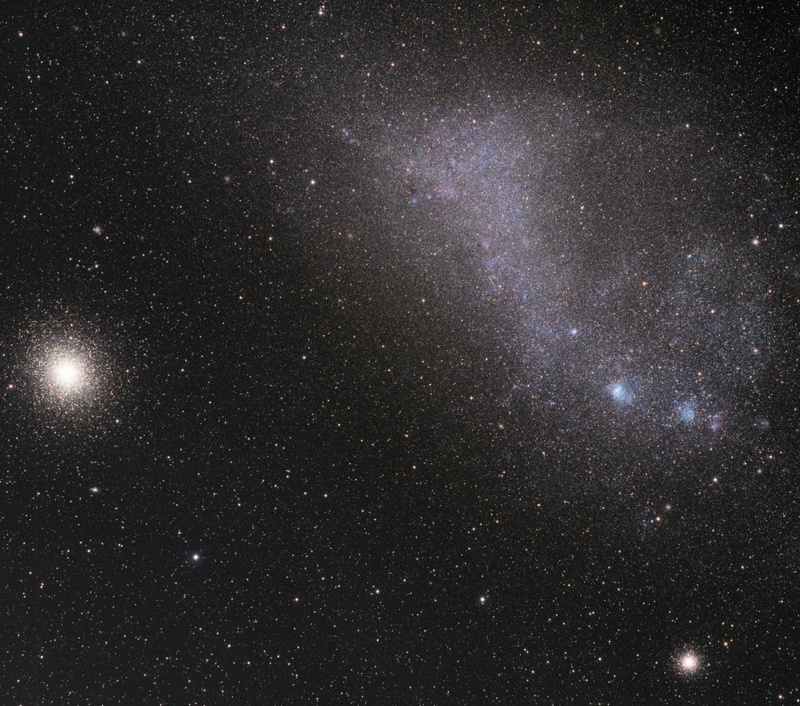 Spectacular 47 Tucanae is a mere 13,000 light-years away and seen here to the left of the Small Magellanic Cloud. Take a short survey about viewing astronomy images on mobile devices.